It's easy to create stylish spaces with easycraft decorative wall and ceiling panelling. Enhancing both traditional and contemporary décor, the easycraft range allows you to add your individual flair, from bedroom to kitchen, living to lounge and outdoor entertaining. Buliders & renovators wanted to keep the authentic look of the original Queenslander, but the cost of installation, knotholes, splits, dust and air leakage through the joins were all recognised as shortcomings of timber planks. So, Easycraft created and produced a product to replicate the look of the line and Beaded timber plank profiles, made from MDF (medium density fibre) board. The MDF board provides a much stronger surface finish and solved all the deficiencies that came with using the original timber planks. 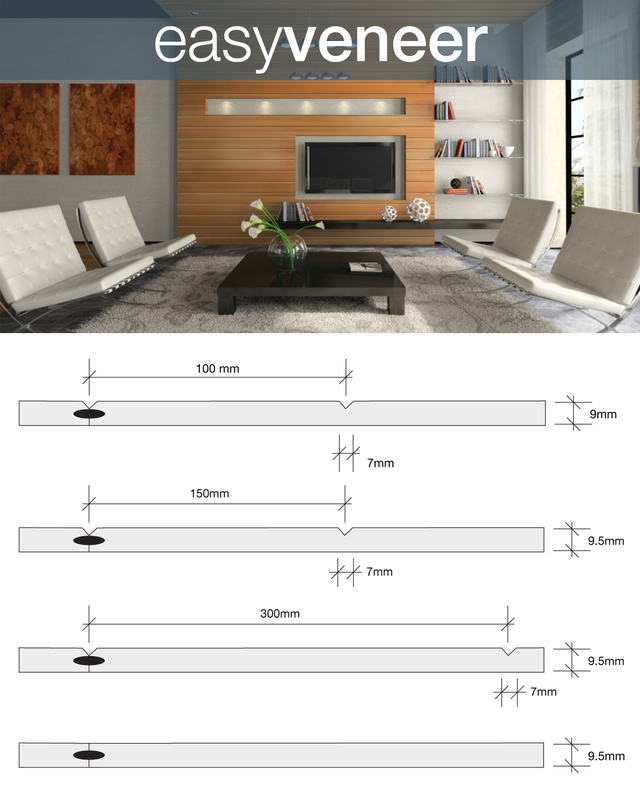 Over time other new profiles have been introduced, such as Beaded, Regency, Ascot and recently, more contemporary profiles such as Easygroove and Easyline (shiplap) have been added to complete a comprehensive range of decorative wall & ceiling linings that meet home renovation and new build trends. Easycraft have also developed a range of surface coatings in clear lacquer & white wash finishes. 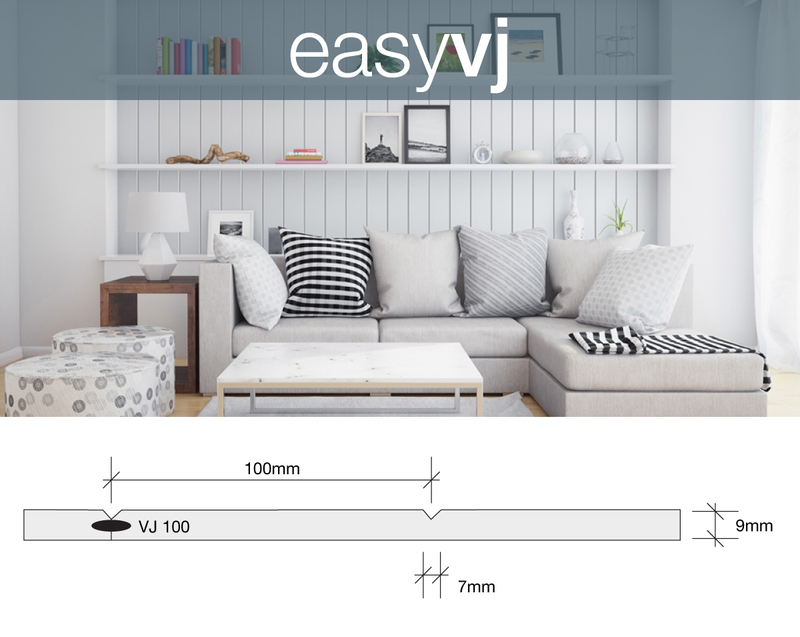 Easyvj is our most popular decorative wall panel. It will suit traditional homes wanting to match the older VJ paneling style, but also suit those wanting a modern clean feature wall or ceiling. This easy to use timber wall paneling system should be your first choice. These days, the features of traditional tongue and groove boards can be accessed very easily and economically using easyvj. It is now being used in modern home designs and is a favourite for builders looking for a cost effective wall lining solution. 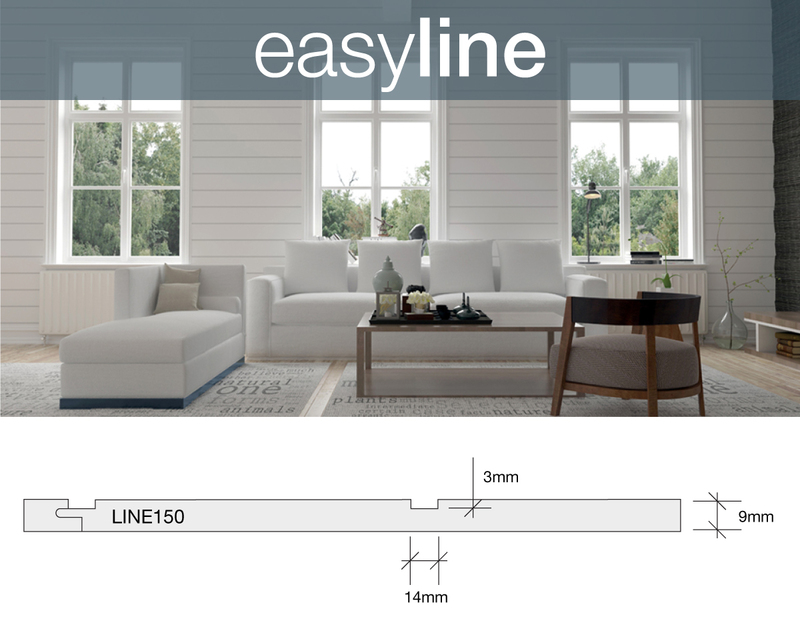 The easyline design reflects the classic look of shiplap timber cladding and comes in a 1200mm panel width, eliminating those annoying joints throughout. The panels include the easy to use tongue and groove joining system allowing a quick and easy installation process. EasyGroove panelling provides a Modern alternative wall finish compared with plain old plasterboard walls and gone are those unsitely plaster joins. 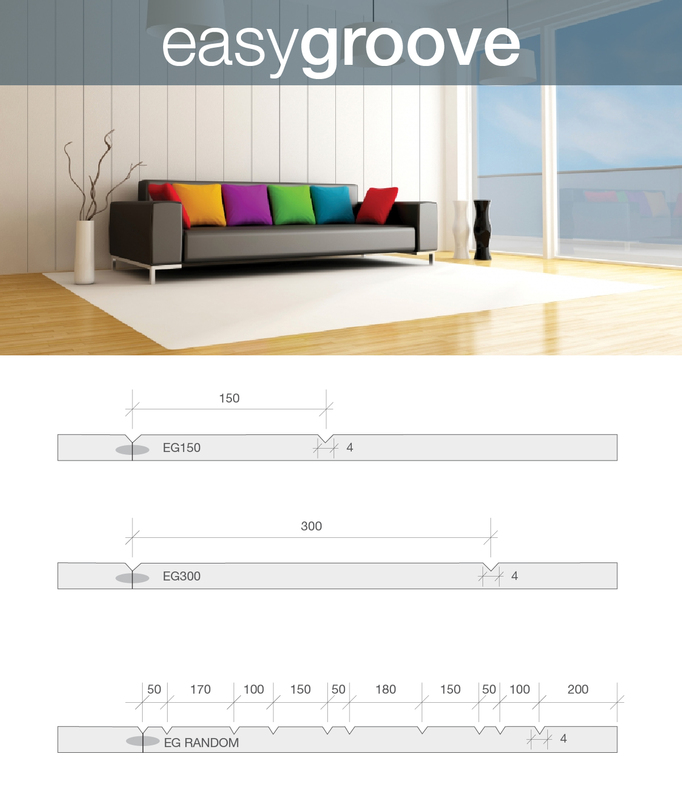 The easygroove - VGroove profile has a thinner 4mm width and comes in centre width spacing options of 150mm, 300mm and random. Panels come pre-primed ready for you to apply your final coat. The traditional style of Australia's heritage homes are unique; Walls and ceilings featuring Regency tongue and groove boards were common during the "Pre WW1 and Interwar" periods of Australian architecture and the Regency look has become one of the hallmarks of that period. These days, the features of traditional tongue and groove boards can be accessed very easily and economically using easyregency. Easyregency timber wall paneling is suitable for dado height and full height decorative walls. This style will suit a more traditional home style. If you are planning a renovation or wanting to upgrade a room over the weekend these internal timber wall and ceiling panels make the job easy. The ideal product where you want the look of plasterboard but the strength of a timber wall panel. 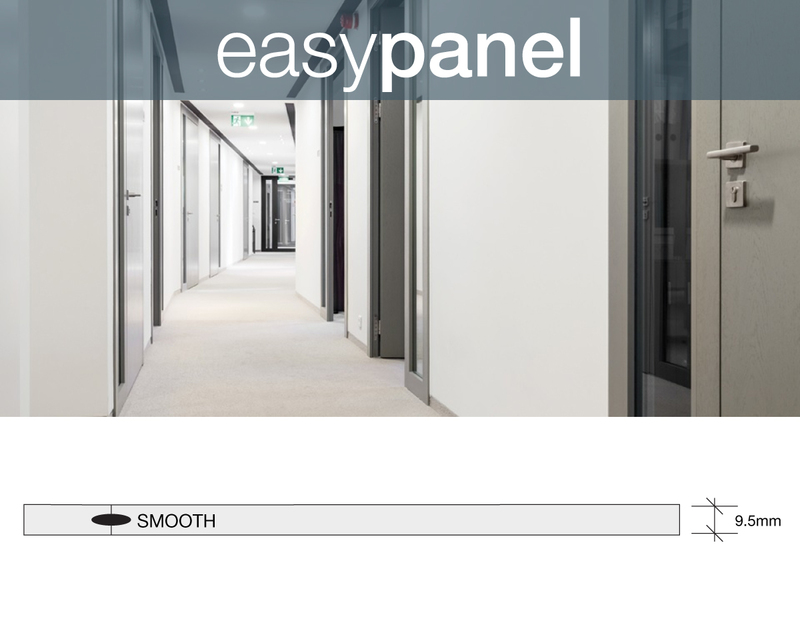 It is strong, impact resistant and easy to install with the easyjoin system. These internal wall panels are perfect for high traffic areas in both residential and commercial applications. They come preprimed and ready to paint saving you time and money. Sometimes you need a wall lining that will take the hard knocks: Hotels, Nightclubs, Restaurants, Hospitals, Child Care Facilities, School Assembly Halls, Sports Halls, School Corridors and Special Needs Housing are just a few buildings where walls are subjected to high impacts. Easyascot wall panelling delivers a formal, exclusive finish to any room and is most suited to dining, master bedroom and entry areas. 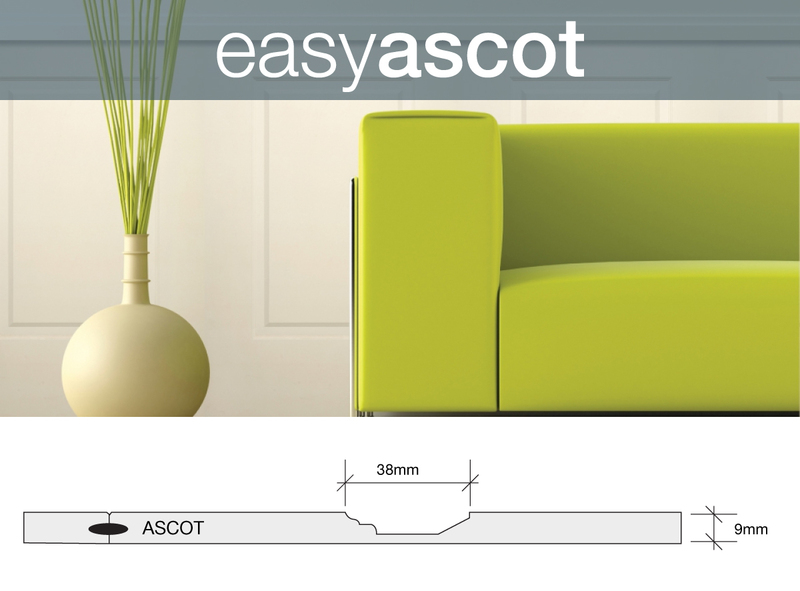 Easyascot wall panels are the easiest way to transform a room in a weekend. No trades people required, just work out how many internal walls panels are required and off you go. Panels come primed on both sides so they can be cut, reversed and used to fill in the blank ends of each wall, so no wasted panels. Sizes are nominal and may vary slightly. 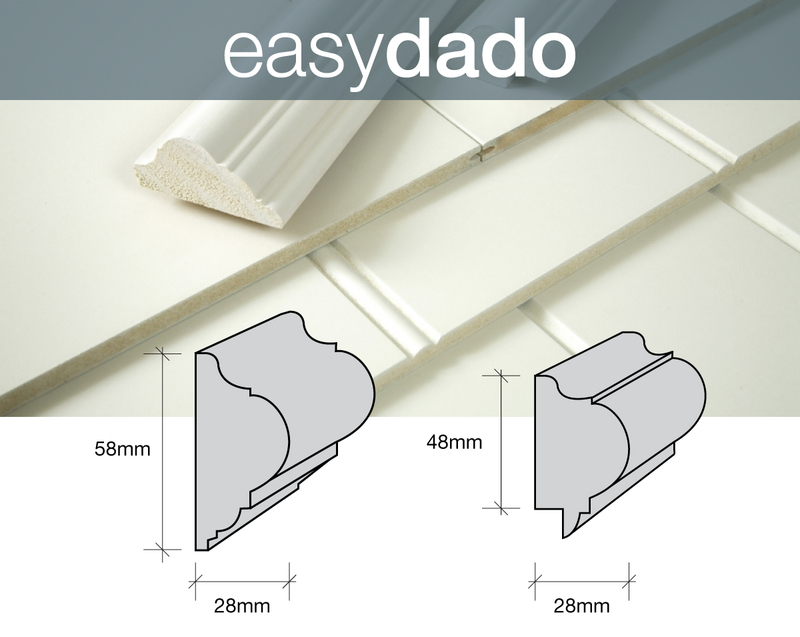 Easydado compliments the dado height timber wall panels of any profile from easycraft. Finishing off the 900mm height wall panel the dado rail gives a professional finish. It is available in both flat or rebated profiles to suit all applications. It is the perfect finish to your new decorative wall paneling in your new look room. 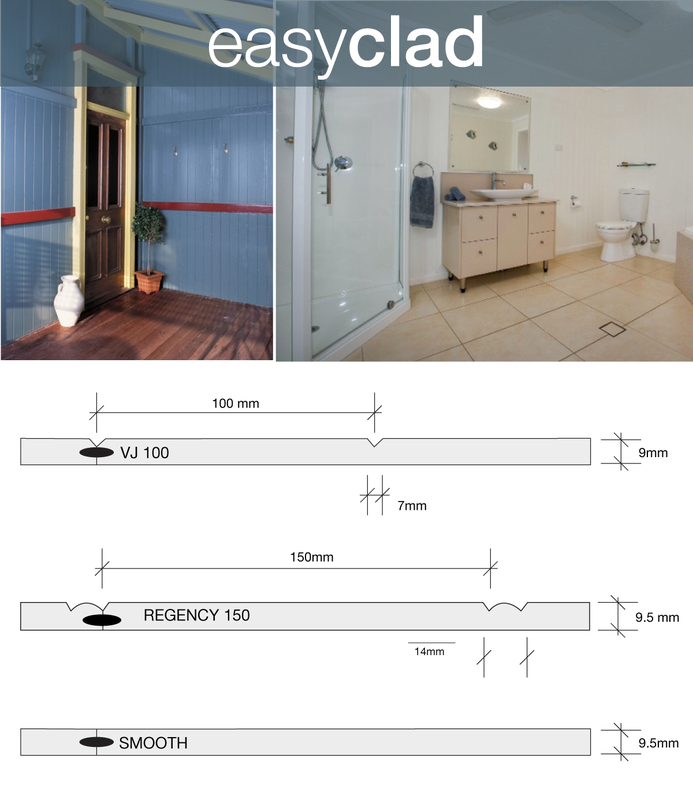 Easyclad is high impact resistant 9.5mm thick board made from Australian hardwoods selected for their durability and low fibre swell characteristics. Easyclad provides the traditional look of tongue and groove boards for semi-external undercover walls and ceilings at a fraction of the cost of timber planks. For use in semi-external areas only not subject to direct rain exposure. It is NOT to be used as external cladding board where exposed to full weather conditions. Easyclad is our recommended wall cladding for all internal wet areas (bathrooms & laundries) and semi-external undercover use such as patios and verandahs. Made from reconstituted hardwood it provides a tough and hardy base board whilst offering our full range of profile finishes, to match existing or to create a new look. They come pre-primed (both front & back surfaces for additional protection) are ready to paint and are available in most Profiles. Easyveneer The latest in Timber Veneers (Tasmanian Oak and Hoop Pine) present a classic warm timber panelling feature that has never looked so good. Easyveneer will save you time and money when wanting to create feature timber walls or ceilings. No knots or the inconsistent quality of timber boards. This is the latest in modern veneers with a light Tasmanian Oak finish or Hoop Pine finish available in either smooth or grooved surfaces. 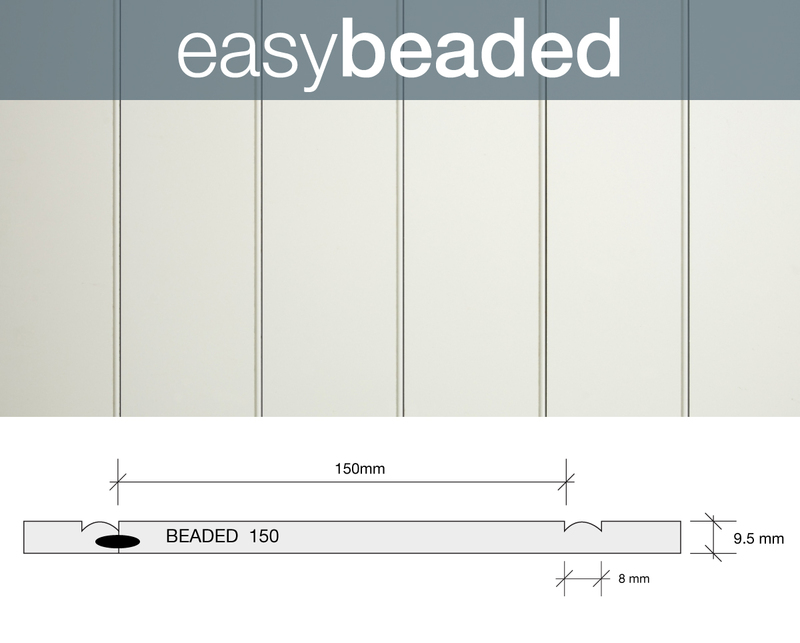 Easybeaded The traditional profile of easybeaded matches many classic older style wall coverings. 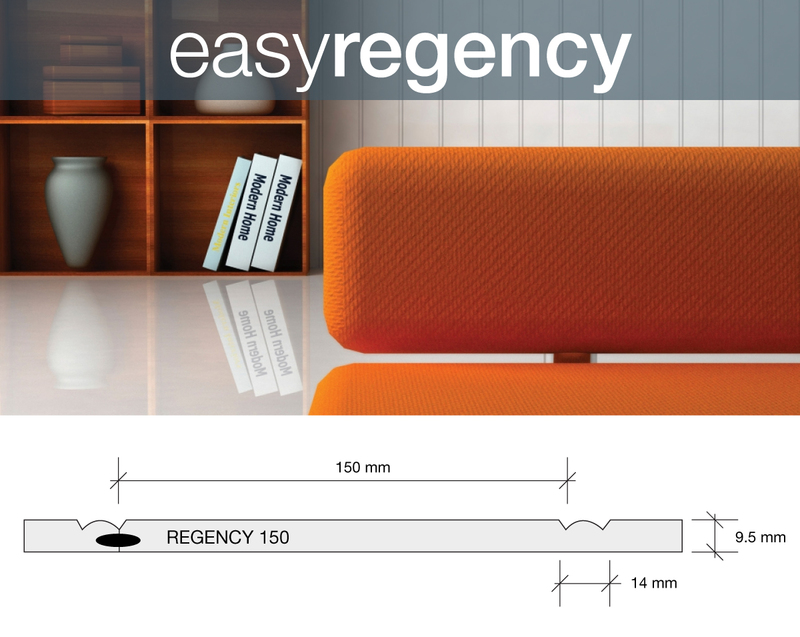 It also delivers a softer option to the regency and line profiles in a modern application having a smaller profile. This product is Made to Order Only ex the Easycraft Brisbane production facility. 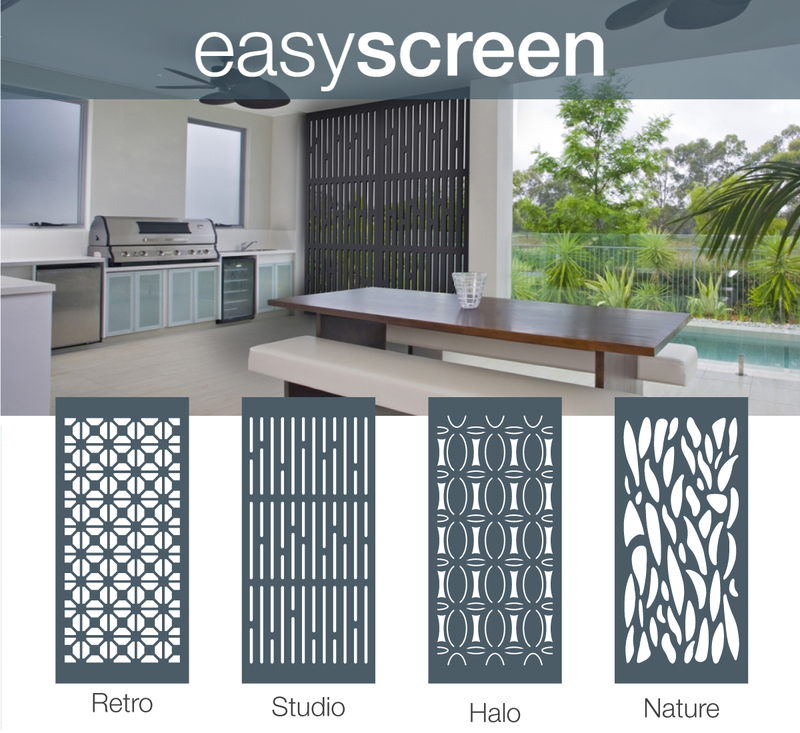 Easyscreen The STANDARD range are ideal for decorative and privacy screening in Commercial and Residential applications. Suitable for use in undercover areas such as patios and pergolas, they provide a unique backdrop to a BBQ area or just to create personal or private spaces around the home or office. The MINI range of decorative screens are perfect when wanting a unique look to finish off a feature wall or entrance area. The use of multiple panels, either vertically or horizontally is an easy way of producing a creative, visual impact. The MINI range are great for smaller feature partitioning or simply use as wall art decor. All EASYCRAFT DECORATIVE SCREENS come pre-primed ready to paint so you can add your own final finish to compliment your overall colour pallet. All easycraft screens come pre-primed to both front & back sides ready for your final coat finishing. Sheet sizing is nominal and may vary slightly to dimensions shown. Weight per sheet is approximate based on the base substrate less perforated area. Ensure all framing or structure used is capable of supporting the total weight of board. The 2700 screens can be trimmed to suit opening heights from 2700 to 2400 high.